Disney, the company which has devoted years of work for the young generation specially children, announced the release of a mobile app over Apple’s iPad, iPhone and iPod Touch. Disney has named the application on Apple’s Store as the Disney Epic Mickey App, which has been designed to deliver Disney Digicomics over your Apple gadget. The App can be download from Apple App Store and supports almost all the Apple’s gadget including the iPad. First ever Disney Digicomic made available in the app is ”Tales of Wasteland”, which consists of 6 eight-page short comic stories which take place in Wasteland. Users get a preview of Wasteland as well as feature characters which are from the upcoming Disney Epic Mickey video game and includes the Walt Disney’s first cartoon star, Oswal the Lucky Rabbit. This is the first ever Disney comic content developed for a digital release and expands Disney Publishing’s growing library of apps for iOS. Furthermore, readers can experience the comic madness in landscape view or portrait view while the app allows them to flip and pan through the comics. Disney Publishing’s launch of this Digicomics app extends the storytelling experience of Disney Epic Mickey. We are proud to continue delivering the very best reading experiences to families around the world across all formats. 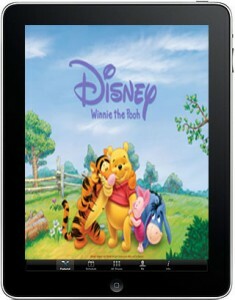 The Disney Epic Mickey App is available from the App Store on iPad, iPhone and iPod Touch. The first comic story is available for free while an additional five can be downloaded for $2.99.